This spectacular hill climb is very conveniently situated right alongside the showground at the Peoples Park which allows people attending the show an excellent opportunity to see the start, and to access a vantage point half way up the hill, where the road twists and turns, past the bowling green. The hill is approximately 640 metres long, and provides some exciting challenges for both riders and drivers. Shortly after the start, there is a left hander, which requires some braking and is a little awkward because of the adverse camber. This is followed by a nice little flick to the right and then using the full width of the road, a long sweep past the bowling green and into a very tight right hander, which is the dominant feature of the hill. Some of the more powerful bikes and The Hill climbs cars can cross the finishing line at over 80mph, which requires very good braking within the stopping zone! The event starts at 10am on Saturday morning the 3rd June with practice runs and continues throughout the afternoon. 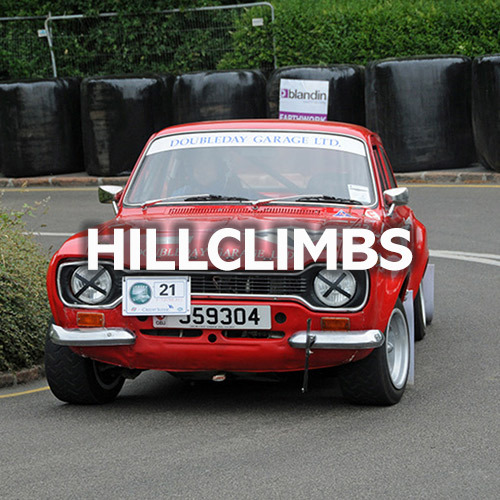 On Sunday morning the hill climb moves to Mount Bingham, where spectators can watch the action from a great vantage point near the swings and from the foot of the glacis, overlooking the top bend. Starting just to the south of the multistory car park, there is a long flat right hand bend, followed by a short left and a straight, before the hairpin under the rock face. A variety of techniques are used to get round the hairpin and a good trials bike is a definite advantage! After the hairpin, it is a case of power on and climb up through a sharp right hander on to a steep incline, past the straw bales and a sharp left across the junction and up the “ramp” to Fort Regent and the finish line. The crossover at the junction is particularly challenging due to the abrupt changes in direction and gradient. The eligibility for competing cars is manufactured before 1979, and for bikes before 1981.